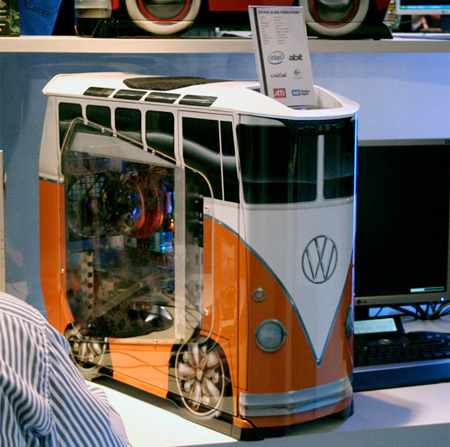 Many hardware enthusiasts love to design and create unique cases for their computers. This post showcases the most creative and original case mods. 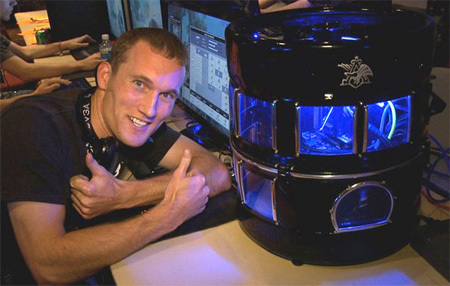 Gamer/modder Ben Lzicar turned a beer keg into a computer case. 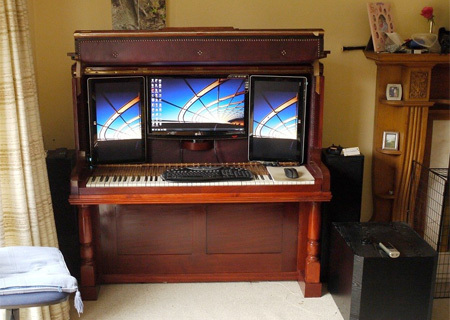 Vintage piano shell was transformed into a concealable workstation. 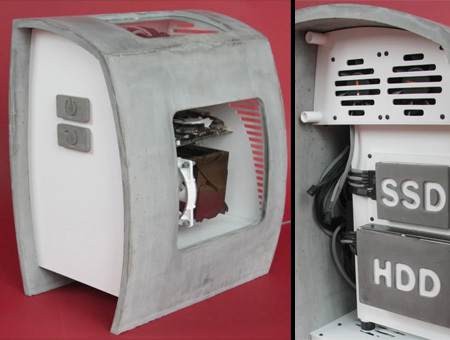 Unusual computer case made from a strong layer of concrete. 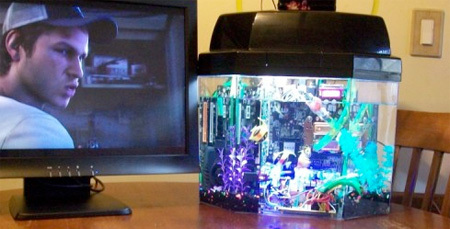 Beautiful computer case looks and functions like a real aquarium. 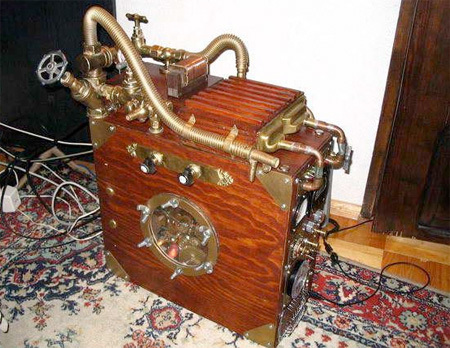 Wooden computer case inspired by the Steampunk movement. 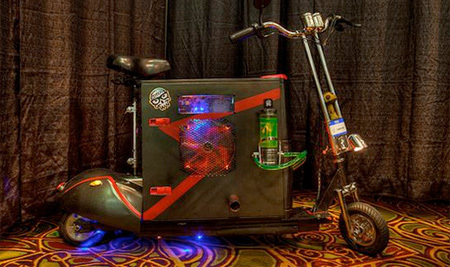 This cool PC case is actually a mini version of a real motorcycle. 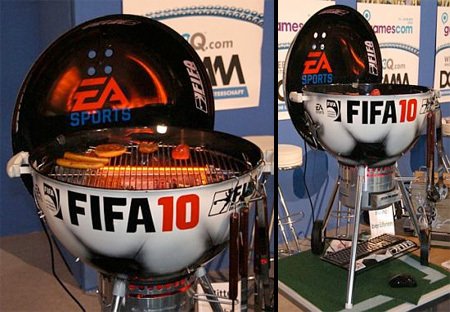 FIFA 10 computer case was designed to look like a barbecue grill. Computer case inspired by the main character from God of War games. 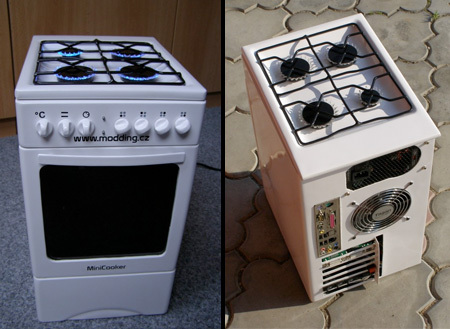 MiniCooker computer case by Zbysek looks like a small over/stove. Mobile computing: water cooled computer and scooter combo. The mineral oil-based cooling system is awesome, especially if you have some LEDs attached. I want the stove one for my kitchen. That just rocks. The stove PC is awesome!!! Great stuff here, love the creativity! Scooter Computer and Mr. Chips! Wow I’ve never taught of concrete pc case that will over heat that computer, and also the scooterputer it will not last long the pc life…. 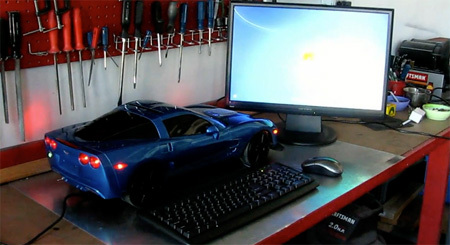 I love the R/C car! Human ingenuity has no limits :) These are amazing! no i dont. THEY ARE AWESOME!! tell me ppl, who agrees? 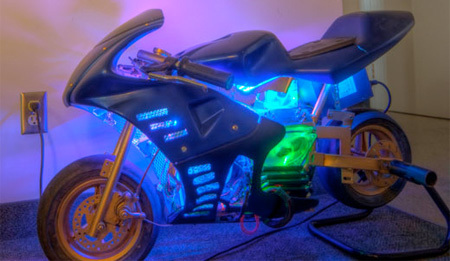 motorcycle computer…..WOW…super idea i’d say..!! !